parahydroxybenzoates, special magnesium silicoaluminate (veegurn), sucrose (3 glmeasuring spoon), sodium saccharin dihydrate, ethyl alcohol of 95 percent v/v, concentrated essence of lemon, essence of deterpenated sweet orange, purified water for 100 ml. Alcohol content by volume of the solution: 1 % (v/v). Oral suspension (Bottle of 100 ml). A measuring spoon (5 ml) corresponds to 125mg of metronidazole. Anti-parasitic antibacterial antibiotics of the nitro-5-imidazole family. This medication is indicated in the treatment of certain infections of sensitive germs (bacteria, parasites). 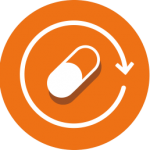 – This medication must never be used in case of allergy to medications from the imidazole family (family of antibiotics to which belongs the metronidazole). – This medication must generally not be used in association with disulfiram or alcohol (alcoholic beverages, medicines containing alcohol). In case of doubt, it is essential to seek the advice of your doctor or pharmacist. – Intake of alcoholic beverages during this treatment is not recommended because of the risk of reactions in the form of redness of the face, warmth, vomiting, or acceleration of the heart rate. – You should stop the treatment and consult a doctor in case of occurrence of bad coordination of voluntary movements, occurrence of vertigo or confusion. 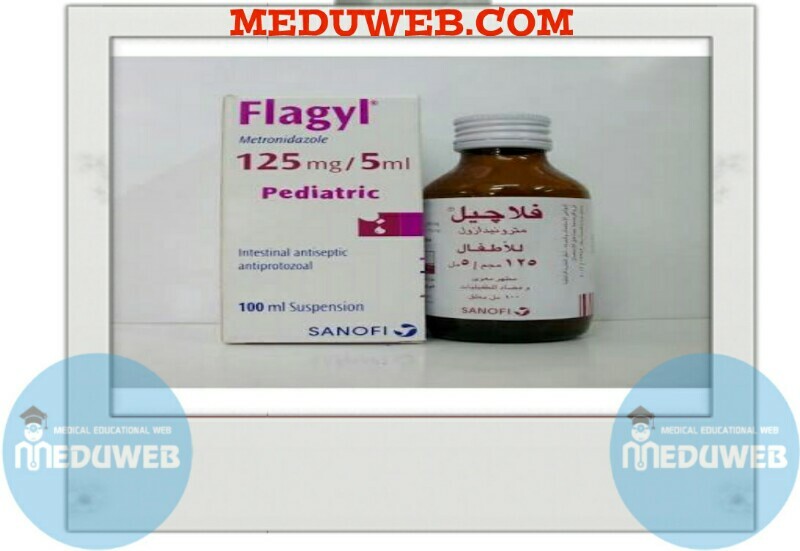 – Be careful when taking this medicine if you suffer from severe nervous disorders, whether chronic or in progress. – This medicine contains small quantities of ethanol (alcohol), less than 100 mg per measuring spoon. – In case of history of blood disorders, treatment with a high dose and/or prolonged treatment, your doctor may need to regularly check your blood cell count through blood tests. – In case of prolonged treatment, it is important to inform your doctor about the occurrence of nervous disorders (tingling, difficulty to coordinate movements, vertigo, convulsions). – Due to the presence of alcohol, inform your doctor in case of liver disease, epilepsy or pregnancy. – The use of this medication is not recommended in patients with intolerance to sucrose (a rare hereditary disease). – This medication contains 3 g of sucrose per measuring spoon, which must be considered in the daily ration in case of low sugar diet or diabetes. If you are in doubt do not hesitate to ask your doctor or pharmacist for advice. In order to avoid possible interactions between many medications, and especially with disulfiram and alcohol, you should systematically report any other ongoing treatment to your doctor or to the pharmacist. Taking this medication may disturb the results of certain laboratory examinations (treponema research) ; metronidazole may cause a false positive Nelson Test. If needed, this medication may be taken during pregnancy. You should ask your doctor or pharmacist for advice before taking this medication. Avoid lactation while taking this medication. Generally, during pregnancy and lactation, you should always ask your doctor or pharmacist for advice before using a medication. Attention should be taken, especially with vehicle drivers and machine users, to the risks of vertigo, confusion, hallucinations or convulsions, associated with the use of this medication. – In child: 250 mg/day to 20-40 mg/kg/day. In certain cases, your partner should be imperatively treated, whether or not he has clinical signs. In all cases follow the prescription of your doctor.